Power, reliability and precise design makes the Catler JE 8010 the gold standard of professional juice extractors. High-quality materials guarantees durability and the attention to details minimize its maintenance. The micro-mesh filter combines with a titanium reinforced blade ensuring up to 50 % more juice extraction than other machines. While the motor is very powerful and handles the hardest fruits effortlessly, it is also very quiet. The motor speed may be set to 6500 or 13000 rpm. If the centre edge is exposed to higher loads, the Catler's smart chip automatically adjusts the rpm and output of the motor. The Catler JE 8010 (Gastroback/Breville Commercial Juice Extractor) can be used for all kinds of fruits and vegetables. Like most centrifugals, it isn't designed to handle leafy greens or soft berries. It is simple to use, and the large feeding tube saves time by letting you juice entire apples and oranges. The super-strong 1200-watt motor can handle just about anything. You can choose low-speed (6500 rpm) or high speed (13000 rpm) to get the best results depending on the produce. which is used for different types of fruits or vegetables. 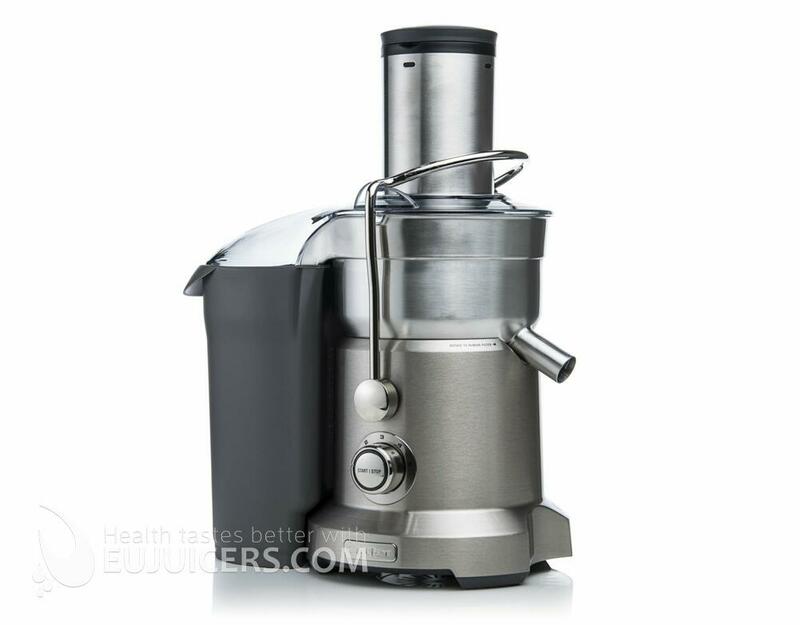 The heavy stainless steel construction ensures that this juicer can stand up to the rigors of commercial use. Finally it is fast and easy to clean, as it is simple to disassemble.